I had no idea what to expect when I sat down to watch SOLARIS as it had been so long since I read the Stanislaw Lem novel that I remembered little of the plot and I’ve never seen the 1972 version directed by Andrei Tartakovsky. But by the time it was finished I was highly impressed. Here’s a science fiction movie that doesn’t have bug-eyed aliens trying to eat us or conquer us. There’s no babble of technospeak to make us think the characters are smarter than us. There’s no laser gun battles or huge action sequences. Like “Gattaca” or “EXistenZ” the movie qualifies as genuine science fiction, telling a thoughtful, mature, intelligent story about the nature of love and humanity. 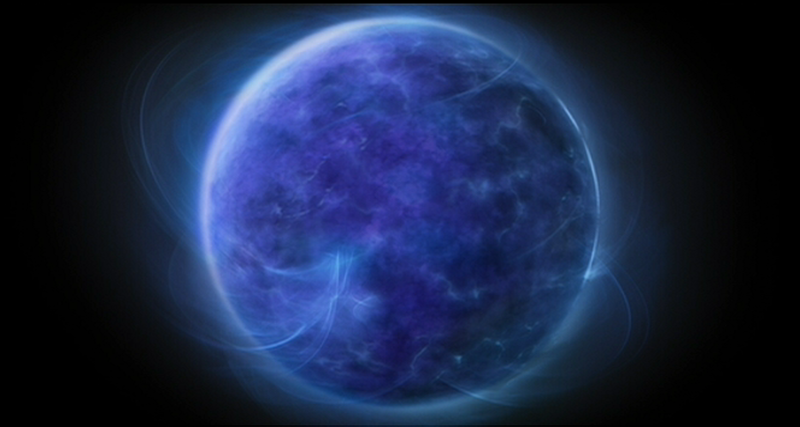 But it does it in such a spooky, unnerving fashion that SOLARIS could almost qualify as a haunted house movie in space. Think of “2001: A Space Odyssey” crossed with “The Shining” That’s how I would sum up SOLARIS to someone who’s never seen it. Chris Kelvin (George Clooney) is a psychologist who appears to be successful but the emptiness of his life is almost more than he can stand. He is snapped out of his depression by a cryptic message from his best friend Dr. Gibarian (Ulrich Tuker) who is part of a scientific team conducting research on a space station orbiting the distant planet Solaris. The scientists have stopped answering all transmissions and a security team dispatched to find out what happened simply disappeared shortly after arriving on the station. The only clue as to what is going on is the message to Chris in which Gibarian begs him to come to Solaris. Chris goes and finds that Gibarian along with most of the team is dead. 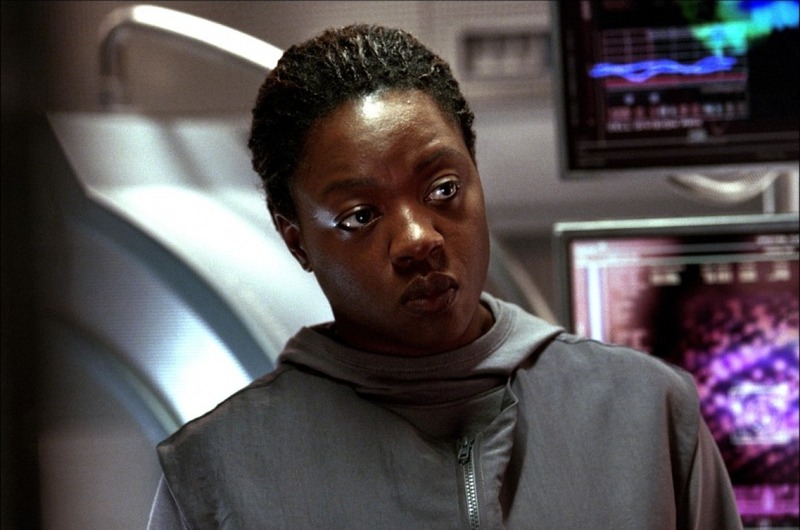 There are only two survivors: Dr. Helen Gordon (Viola Davis) who is paranoid and hostile. Snow (Jeremy Davis) is more laid back and even seems maddeningly cheerful about the situation. He’s got what I think is one of the most chilling lines in the movie: “I could tell you what’s happened here but I don’t think that would tell you what’s happened here.” Chris finds trails of blood that start nowhere and end nowhere. And there’s a little boy with large, serene eyes prowling around the station. A little boy who has no business being there. 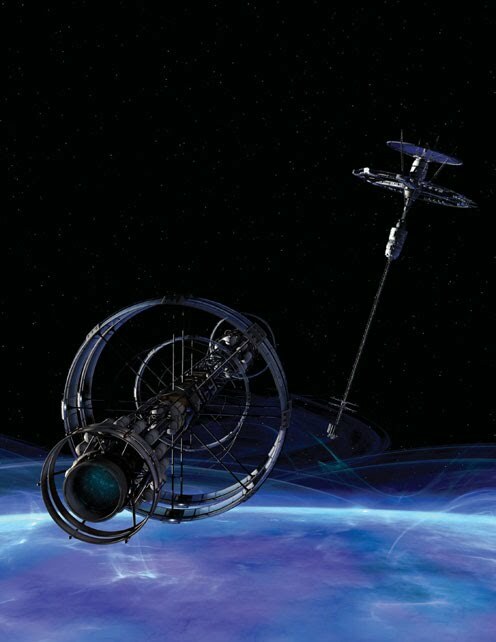 And soon, Chris discovers for himself the frightening secret of Solaris when he is visited by his hauntingly beautiful wife Rheya who committed suicide several years ago after a bitter argument with Chris. Gordon and Snow have had their own visitors as well. Gordon refuses to tell who came to see her but it terrified her so much that she has created a weapon that can destroy these apparitions. But are they apparitions? They can be touched. They laugh and cry. They appear to be completely and totally human. So much so that Chris falls in love with Rheya all over again and clutches at this chance to save her. Gordon is equally determined to destroy whatever it is Rheya may be. The battle in this movie is between ideas and emotions, not massive space fleets but it’s no less exciting to watch. It’s this refusal on the part of writer/director Steve Soderbergh to attribute any kind of human motive or behavior to the actions of Solaris that makes the movie. Surely there has to be some reason why Solaris is creating these exact replicas but the reason is never explained to us or to Chris Kelvin. Solaris is this gigantic ball of living matter whose intelligence is so far above human that trying to comprehend its motives might drive a man insane and indeed, by the end of the movie, you may be wondering if the last few scenes are indeed real or taking place in Chris Kelvin’s shattered mind. The last fifteen minutes or so will most definitely make you think if you’ve found the previous hour and thirty minutes intriguing. The acting is outstanding here, especially George Clooney. He’s one of the most likeable actors working in film today and here he creates a character that is extremely vulnerable and believable. This isn’t a chest-beating man of action but a professional explorer of the labyrinth of the human mind who finds himself caught in his own emotional and psychological maze and has no idea how to get out. Jeremy Davis is a lot of fun as he gives his character all of these strange quirks and ways of phrasing his sentences that are quite entertaining and even creepy. And this is the first movie I recall seeing Viola Davis in and was highly impressed with what I saw. Miss Davis is one of those handful of actors who are excellent even if the movie they’re in is crappy. 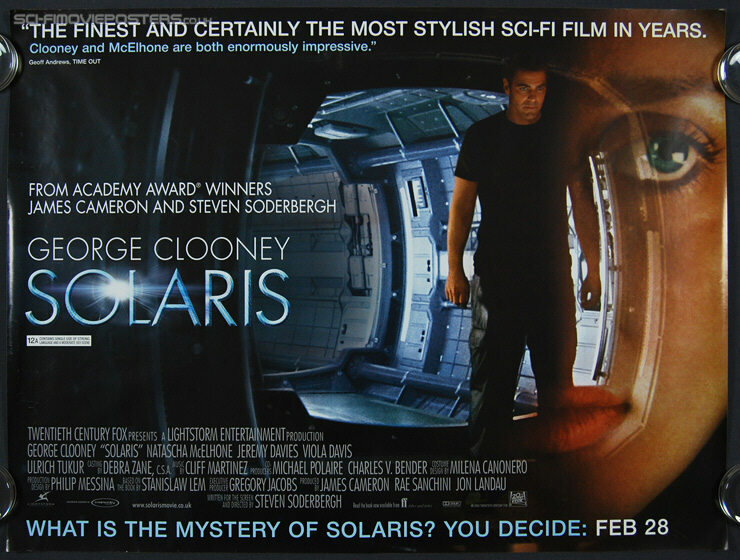 Thankfully, SOLARIS isn’t one of those movies which makes it all the better. SOLARIS is the real deal. It’s not an action or horror movie in sci-fi drag. It deals with issues of life, death, the human heart and the nature of reality in such an intelligently adult manner that I was really surprised at how much I enjoyed it. If you haven’t seen it I strongly urge you to do so. OK, sold me on another movie.